With this function, standby mode can be skipped over to activate the VPL-FX52 immediately. 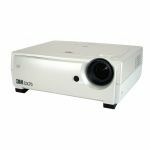 And thanks to a cooling fan with driver circuitry that works even after the power has been cut, the projector can be turned on or off using a circuit-breaker switch on a switchboard. When applications require double the light output, the VPL-FX52 can be twin stacked. Pictures from the two projectors are then matched using the Picture Shift function on each unit. 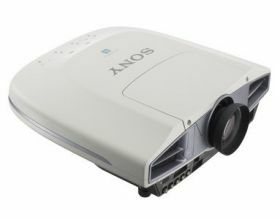 The 4-times Digital Zoom, allows the user to zoom in on one section of the presentation for a closer look, helping to convey a message more clearly. Smart Auto Pixel Alignment automatically adjusts the dot phase, image size and image shift to the optimal settings according to the input signal - without the user even pressing a button. 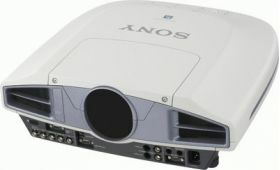 The VPL-FX52 projector accepts a wide variety of input signals up to HDTV, as well as computer signals up to UXGA (1600 x 1200 pixels). The VPL-FX52 is also equipped with a DVI-D connector that can be used to connect a digital RGB device and supports high-precision signal connection with a workstation or other device. 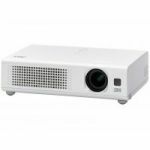 The VPL-FX52 can be customised to virtually any application environment ranging from long to short distance front and rear projection by changing the standard zoom lens for one of two optional lenses. The free tilt angle combined with the advanced digital keystone correction ensures that detailed and geometrically correct images can be produced. This enables holographic and other screen applications, making the VPL-FX52 a first choice option for retail outlets too. The VPL-FX52 features a wide variety of control functions, making it ideal for a range of applications. 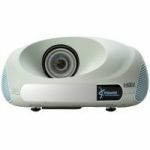 The projector can be controlled via the supplied remote commander by infrared or by a cable connected between the projector (S-Control) and the remote. The RS232 Port also allows the projector to be controlled and monitored from a control room, whilst multiple projectors can be controlled via TCP/IP by using Sony PJ Talk!2 technology. The VPL-FX52 can be password protected to avoid unauthorised use and to deter thieves, particularly useful for venues open to the public. - Multi-lingual helpdesk, where the fully trained team will guide you through the many features of the product and also coordinate any service request that you may have during the contract life. - Qualified Sony engineers will carry out any necessary repairs, giving you peace of mind that there will be no unexpected repair bills whilst your VPL-FX52 is covered by PrimeSupport. Included with the VPL-FX52 is a PrimeSupport 3 year service offering. Providing more than standard warranty. Multi-lingual helpdesk, where the fully trained team will guide you through the many features of the product and also coordinate any service request that you may have during the contract life. Qualified Sony engineers will carry out any necessary repairs, giving you peace of mind that there will be no unexpected repair bills whilst your VPL-FX52 is covered by PrimeSupport.